International fair WIN 2011 in Istanbul | ZVL SLOVAKIA a.s.
3.2.-6.2.2011 there was an international fair WIN 2011 oriented on machine industry in Istanbul. All important producers of bearings took part. SKF and INA-FAG stands were next to our stand that was located in the middle of the pavillion. 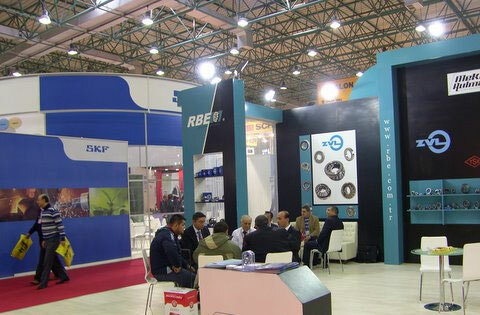 ZVL SLOVAKIA, a.s. exhibited in joint stand with the distributors Mekanik Rulman and Asil Rulman on an area of 70 m2. Our stand was visited by important prospective customers as well as present OEM customers mostly from Turkey, but also from nearby countries.